WHICH OILS ARE USED IN JAMAICA ME CRAZY SOY CANDLE? Jamaica Me Crazy will transport you to the islands with its irresistible blend of coconut, pineapple, rum, tangerine, banana, and melon-y sweetness. This fragrance is infused with natural essential oils including orange. IS IT EASY TO SWITCH OUT MELTS IN MY WAX BURNER? 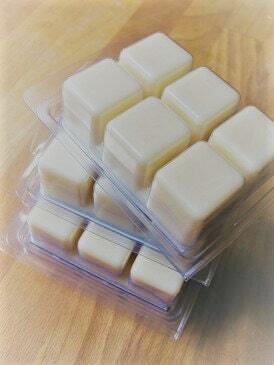 Because our melts are made with 100% soy, switching out scents is really easy. Paraffin melts (most popular in stores), will stick to your burner and get “gunky,” making it really difficult to clean them out. To switch a TW HOME ESSENTIALS soy scent, melt down the current cube in your burner/melter, then dump out or use as a lotion. It comes out clean so that you can try out a new scent! CAN I USE TW HOME ESSENTIALS MELTS AS LOTION? Why certainly! Because all TW HOME ESSENTIALS creations are made with 100% soy and essential oils, you can use the wax melts as natural and soothing lotion. I keep my wax melted in my bathroom so that I can dip my fingers into the melted soy as I am getting ready for my day. 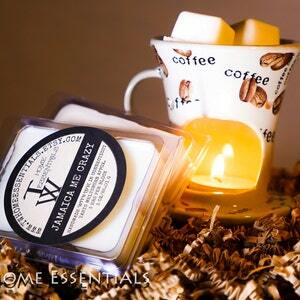 Don't ask us the science behind it, but soy wax never gets hot enough to burn skin - unlike paraffin wax. In our home, we use our candles as lotion, hair conditioner for split ends (just a little). HOW LONG DOES A PACKAGE OF TW HOME ESSENTIALS MELTS LAST? It varies depending on the size and strength of your burner/melter. Our wax melter plugs into the wall and can hold two TW HOME ESSENTIALS cube at a time. A package of TW HOME ESSENTIALS melts (six cubes) lasts us about 7-10 days with consistent scent, and we have it on almost 24/7. WILL TW HOME ESSENTIALS MELTS WORK IN MY SCENTSY BURNER? Certainly! Depending on the size of your burner/melter, you can fit 1-3 soy cubes in at a time. 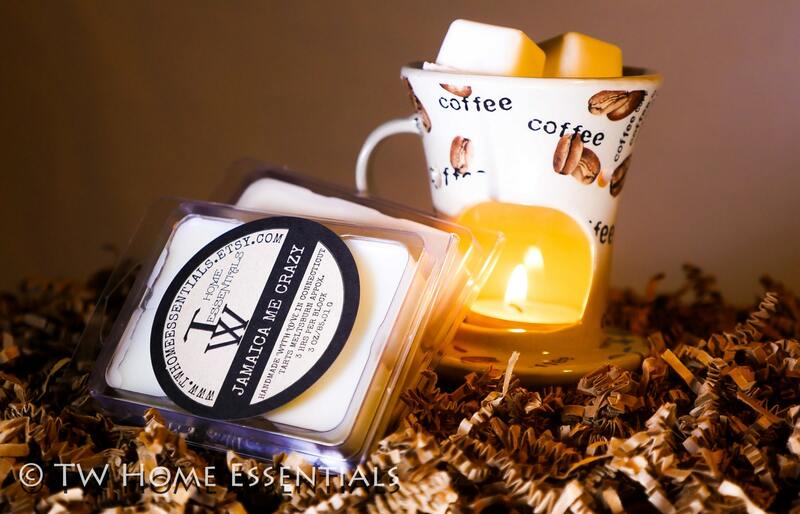 Your order will ship between 1-3 business days so that you can begin enjoying your TW HOME ESSENTIALS soy candle as soon as possible! We don’t like to pay shipping, so we assume that you don’t either! All TW HOME ESSENTIALS products ship for free within the United States - all the time, on all items. WHAT DOES IT MEAN THAT MY WAX MELT IS “HAND-POURED”? WHERE IS THE TW HOME ESSENTIALS STUDIO LOCATED? The TW HOME Studio is located in Bridgeport, CT. All TW HOME ESSENTIALS products are produced and shipped from our home turned studio.